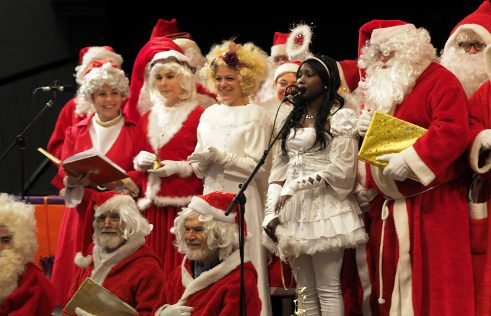 Spreading the enchantment of Christmas: Without the efforts of Julia and her fellow angels, Christmas wouldn’t take place for many people in and around Berlin. For many years now, Julia has pursued her heavenly mission– this year for the first time as Mother Christmas. Julia Marlen Mahlke has been many things over the course of her life. She’s worked as an actress and pool attendant, and taught martial arts to children, but she likes her role as angel best. Even as a small child, she loved to don a set of wings for Christmas. Today her passion for the season and heavenly beings is part of her job, which might even be called a spiritual vocation. Julia began travelling as an angel for Berlin’s student association, the Studierendenwerk Berlin, in 2011. Since 1949, the university has offered seasonal employment to would-be Father Christmases and angels who can be booked for a traditional Christmas Eve visit. 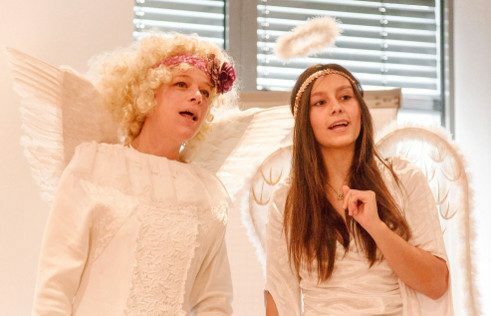 Every December, Berlin’s students suit up to bring holiday joy to the city’s children. It’s more than a temporary job for Julia though, who slipped on her first pair of angel’s wings in her mid-thirties. Before heading out on their first mission, Santa Clauses and angels have to learn their craft under the tutelage of Archangel Julia. Improvisation workshops prepare participants for any eventuality so they can respond quickly and confidently should things go wrong. Julia covers all the challenges of the season, from dealing with drunken guests to how to respond when a curious child declares, “your wings aren’t real!” Then there is the obligatory costume check – no one leaves to spread holiday cheer until their outfit has passed quality control. 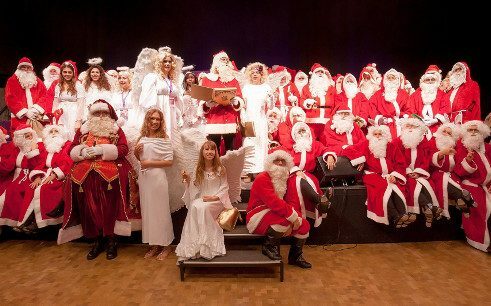 In 2016, the Studierendenwerk Berlin sent out 217 Santa Clauses and angels to spread the holiday spirit and tuck presents under the trees of around 2,700 homes. Each performance lasts around 10 to 15 minutes. Julia’s personal record was an impressive 14 households one memorable Christmas Eve. Sarah Klein is a journalist and PR consultant. 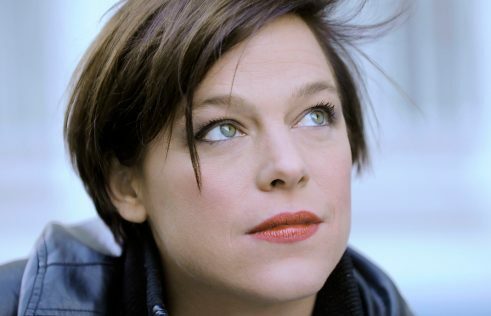 She is editor-in-chief of the Tea after Twelve online magazine and managing director of the Bunny Island GmbH communication agency.